Sync Generator solutions from Ross provide you with accurate, reliable system timing that is the critical heartbeat to your production facility. Ross offers Master Reference generators for any application. From a small openGear cards, ideal for fly packs and remote locations, up to flexible fully-redundant platforms for large multi-format facilities. 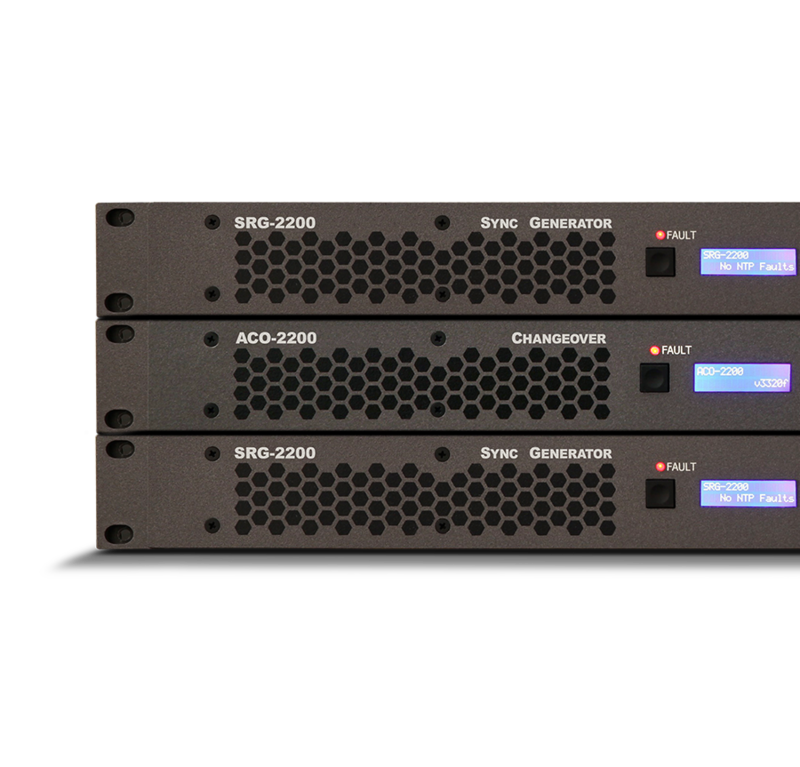 The SRG-series Master Sync Generators support a wide range of output signals and formats from composite to UHD. These reference generators can even provide multiple video standards simultaneously. Integrated video pattern generators with idents and motion are great for remote feeds. Built to last and redundancy in mind, Ross Sync Generators will keep the heartbeat of your facility alive. All units feature redundant power and easy servicing. Automatic changeover units are available to ensure you never skip a beat.